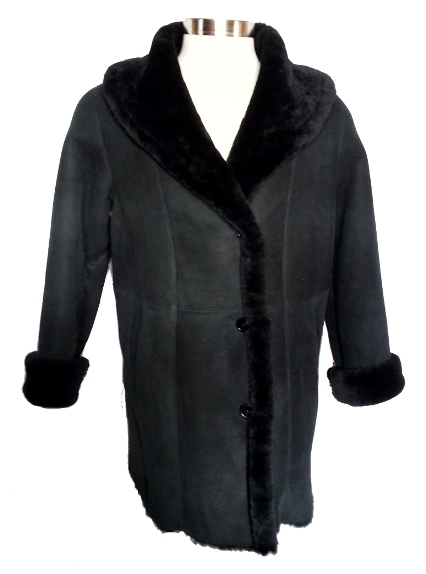 This coat features slant pockets, adjustable cuffs and a nice big collar. 4 buttons with the 4th being under the collar, so you can close it all the way up. Approximately 34" in length.